“Music should startle people and reach deep down inside them forcing them to reflect. It should never be merely ‘comfortable,’ never fossilized, never soothing.” This is Helmuth Rilling’s “credo.” Born in 1933 in Stuttgart, Mr. Rilling is active as a conductor, pedagogue, and an ambassador for the music of J. S. Bach worldwide. In 1954 Helmuth Rilling founded the Gächinger Kantorei and 11 years later in 1965, he founded the Bach Collegium Stuttgart as the choir’s regular orchestral partner. Ever since, Mr. Rilling has been intensely involved with the works of Johann Sebastian Bach and has felt a strong link to this composer’s works. 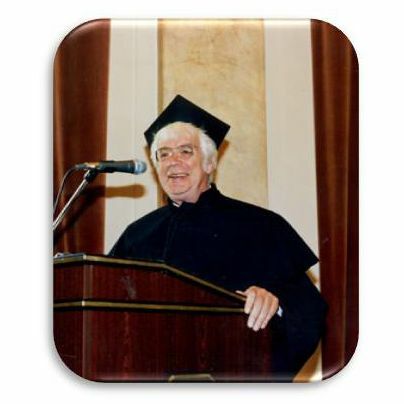 In addition, Mr. Rilling has been a fervent advocate of neglected romantic choral music as well as commissioning and performing contemporary choral music. In 2000, he led the critically acclaimed premiere of “Passions” written by four contemporary composers. Today, either together with his house ensembles in Stuttgart or as a guest conductor, Mr. Rilling is active on the international concert podium, performing regularly throughout Europe, US, and Canada. He has a special friendship dating back some 30 years with the Israel Philharmonic, and since 1970 has been the Artistic Director of the Oregon Bach Festival – today one of the most important artistic events in the USA. Inspired by his devotion to Bach, in 1981 Helmuth Rilling founded the Internationale Bachakademie Stuttgart dedicated to furthering the music of J. S. Bach through public concerts, master classes for singers and conductors, symposia, and residencies all over the world, in addition to special annual projects such as the Bach Week Stuttgart and the European Music Festival Stuttgart. Of special importance to Mr. Rilling is the encouragement of young musicians and in 2001 he founded the Festivalensemble Stuttgart. This ensemble, consisting of choir and orchestra, draws on the participation of talented young musicians from 25 different countries. An important element of Prof. Rilling’s artistic profile is his activity in Kraków, Poland. From 1986 the International Bach Academy has cooperated with the Academy of Music in Kraków, the firs music conservatory in this part of Europe. As part of the six International Bach Academies in Kraków, Prof. Helmuth Rilling presented vocal-instrumental works of J. S. Bach, as well as Stabat Mater of A. Dvořak and gave the European premiere of K. Penderecki’s Credo. Every year the students of the Kraków Academy of Music take part in European Music Festivals and in Summer Music Academies in Stuttgart as participants of masterclasses and as members of international Festival Choir and Orchestra. „…When young people meet, get to know each other and learn mutual acceptance and tolerance – they discover things they have in common. 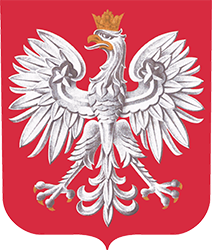 (…) We can not cease to unite young people of various nations.” – Prof. Dr h.c. Helmuth Rilling said during a press conference in Kraków in 1995.